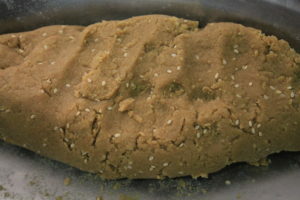 Today’s recipe is ‘Gur Pare’. 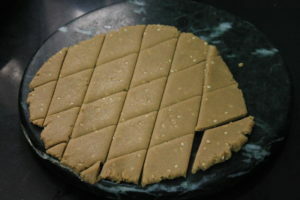 It is a snack recipe which is made of wheat flour and jaggery. This recipe is quick to prepare and delicious in taste. 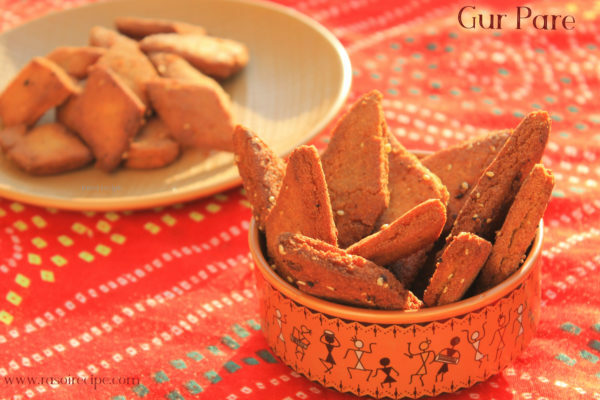 You can prepare it during festivals or for daily tea-time snack. 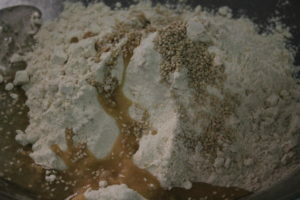 Wheat flour, jaggery, sesame seeds, oil, water. 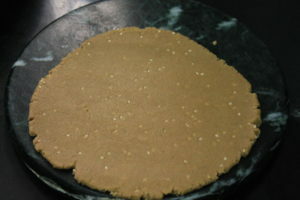 First, you need to melt jaggery, then knead a soft dough with the jaggery syrup and wheat flour. 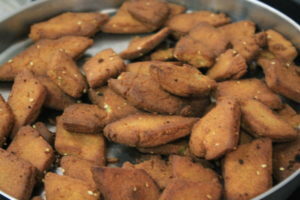 Prepare them of the desired shape and then deep fry, to get crispy gur pare. 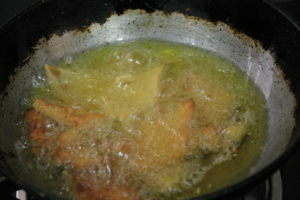 Do not worry about the dark colour after frying as compared to shakkar pare. 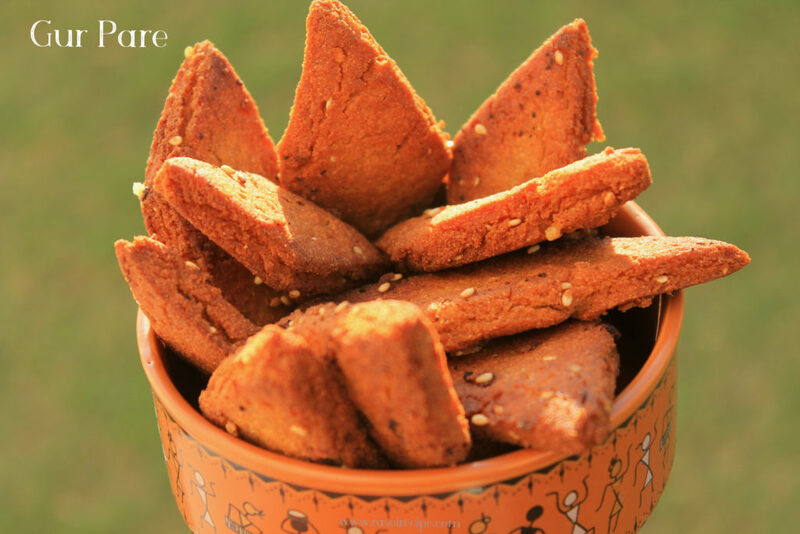 This snack can be given to your kids as a healthy alternative to other readily available packaged snacks. 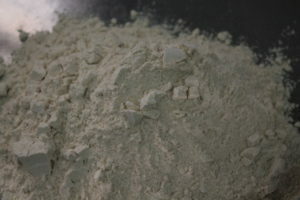 One can easily store it in an air-tight container for 15 days. 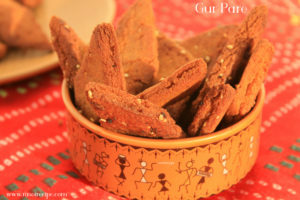 Gur Pare - Wheat Flour Jaggery Snack Recipe - Perfect snack for munching or as a tea-time snack, step by step method with pictures. 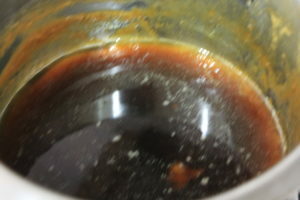 Melt jaggery in a deep pan, with the help of water. 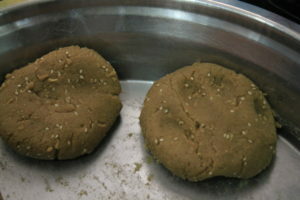 Take 2 cups of wheat flour and sesame seeds. 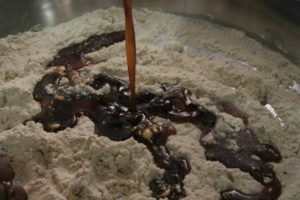 Add oil and melted jaggery to the wheat flour. Cut into the desired shapes with the help of knife or cookie cutter. 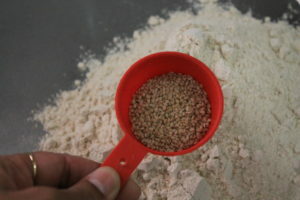 Deep fry all the gur pare till crispy and perfectly cooked. 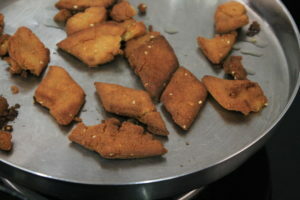 Remove fried one and deep-fry all remaining ones. Serve hot or store in an air-tight container.